It's that time of year when I reflect on the past year, tick off my achievements, and reset my goals for the next. I'm very much a goal-driven person and it's what keeps me jumping out of bed each day, but what's interesting is that not everyone is like this and some people in your team will genuinely need help to set their goals prior to being able to move on to the important phase of developing and implementing the plans to achieve them. I've been working closely with property management business leaders and team members on setting goals for 2016 and while I've been having these discussions, I've felt that there have definitely been times to use business jargon such as vision, purpose, target versus actual strategies. But there have also been many times where it has been necessary to cut back on the lingo. This change in delivery of the message is important, particularly when we're seeking to get at the heart of what success actually looks like for that individual, since they may need a different approach to find it. As a team leader, you may also get caught up in the jargon and need a different dialogue when working with your team members who aren't making sense of it all and they may respond better to a simpler message. Obviously, it really depends on your audience, particularly if you're working with those at an executive level, since they might be perfectly comfortable with the "business speak" and feel it's appropriate and absolutely necessary. 1) Where do you see yourself on Dec 31 2016? – Take a moment to actually visualise what you want and where it is that you want to be on this day. While some of us know exactly what we want and how to get there, others might actually need some time to reflect and contemplate what they want to achieve – and this can't be rushed. The aim of this process is to encourage some thought around personal and professional goals because, let's face it, they both intertwine into our true picture of success. 2) What do you need to achieve throughout the year? – We need to consider the important points along the way to tracking your success and this is your opportunity to celebrate the small wins that will keep you motivated on the journey. 3) Share your goals with as many people as possible – People are generally better at helping others achieve their goals than achieving goals of their own, so use this power to boost yourself and, in turn, boost those around you. If your goals rely on a team to come together, then your ability to communicate your goals is vital to your success. 4) You will fail along the way and that's okay – Sometimes you will not hit every target you set but rather than let it dampen your resolve, use it as encouragement to push forward. After all, if the targets were easy then they wouldn't be targets. This is your opportunity to re-evaluate your plan and consider implementing possible contingencies. 5) You will create your own destiny – A colleague of mine recently talked about "the butterfly effect" and it really resonated with me and actually culminated in the thoughts I have been having around creating your own destiny. Some people move through their career and wonder why others around them are happier with their lives, progress in their careers and are more successful since they feel as though nothing seems to go right for them. I strongly believe that it's just this person's inability to start at step one, consider where they're going and how to get there, because it's what you're doing today that's going to affect what happens tomorrow. Success doesn't happen by accident. Once you've gotten to the heart of what success looks like for the person, helped them to understand the importance of goal setting, started to develop some goals and a loose plan to get there, we can than start to incorporate those academic terms that we feel are always necessary to use in demonstrating our years of industry knowledge and ensuring our MBA academia is put to good use. I'm interested in hearing your thoughts about the necessity of using business jargon in all circumstances with your team, particularly in an area like this that requires your team member to fully understand the process and needs to have some personal reflection on an area such as setting their goals for the year ahead. 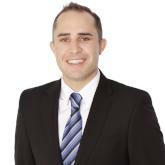 Brennan is a key member of the Ray White Queensland corporate team. As business performance executive for property management, he supports business owners to develop comprehensive change management strategies and implement best practice into their business. Brennan provides training and support to property managers and business leaders to not only assist with their personal development, but further enhance their customer's experiences. As a dedicated professional and highly effective property manager with over eleven years’ experience, Brennan brings a range of skills that include insightful industry ideas, development of comprehensive team strategies and tailored training plans. Should property managers invest in education?